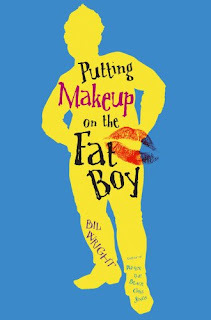 Summary (from the inside flap of the book): For as long as he can remember, he's been able to apply makeup just right, and his sense of style would impress half the fashion designers in New York City. He spends his time dreaming of becoming Carrlos Duarte, larger-than-life makeup artist to the stars. And when he lands a part-time job working at the FeatureFace makeup counter at Macy's, he's sure his dreams are finally becoming a reality. But the makeup artist world is competitive and cutthroat, and there are hurdles in his way that Carlos could never have imagined. The chance of hitting the big time is so close Carlos can taste it--but he'll have to believe in himself more than ever if he wants to make it to top. 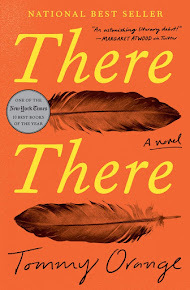 Review: This book just won the Stonewall Award for Young Adult literature, which goes to a book that does a good job portraying issues that face Lesbian, Gay, Bisexual, Transgender and Questioning students. This book does that but is also so much more. Bil Wright managed to sneak in a few issues that teens deal with and to do it in a successful way. The main character, Carlos Duarte, has a number of issues that could cause him to have a tough time in high school. 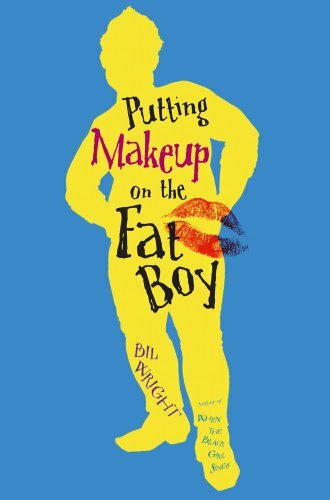 He is gay, he is fat, he sometimes wears makeup. Being an adolescent is not easy even when you fit into the "popular crowd" yet Carlos handles himself really well. He is confident in who he is and doesn't seem to worry too much about how others see him. He doesn't really say it, but the reader gets the sense that Carlos figures that if other people have a problem with who he is, it is their problem, not his. Much of this comes from his family; he gets along well with both his mother and his sister and they have a close family. He also has good friends who love him just the way he is and, really, isn't that what we all want? In addition to issues of sexuality and body size, Wright deals with abusive relationships. What is the role of a family member when the victim won't even admit the abuse is happening? Can we take things into our own hands or should we wait for the victim to ask for help? Carlos and his mother take on these issues, hoping to keep a loved one safe. Carlos wants to be a makeup artist, but not just any makeup artist. He wants to be famous. We don't know if he will make it by the end of the novel, but I feel like Carlos has such confidence in himself, his talents, and what he wants that he will be famous and good at what he does. However, along the way, Carlos makes mistakes, compromises his integrity, and does things he shouldn't, justifying it to himself and others along hte way. That is real. The whole book is real and that's why its' so good.